1. Picture of standard shape for model No WD-01. 2. 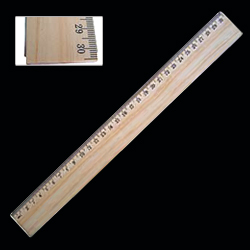 The stainless steel plate insert into wooden ruler two edge.